"An easy to get started with Arabic course with only a few drawbacks." Living Language was first developed in 1946 and is based on the language courses used by the US State Department in order to get diplomats ready for overseas postings. Since that time Living Language courses have been used by millions of students from all over the world to learn a wide variety of languages. Arabic is acknowledged as one of the harder languages for English speakers to learn. In this review I will share my experience with using this course and whether I felt that it properly prepared me for speaking Arabic. Below you will find everything you need to know before you choose to purchase this online Arabic course. Included is a full breakdown of how the Living Language system works as well as some of the major advantages and disadvantages of this course. 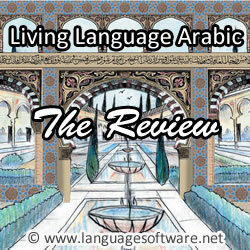 At the end of the review I'll provide a comparison with other Arabic courses as well as my overall recommendation. The online course is priced at $150. When you purchase the course, you will be provided with instant access to the website. 46 language lessons which include audio conversations, grammar and vocabulary lessons, and Arabic cultural notes. Guidance of a native Arabic speaker. This tutor can provide conversational practice and answer any of your questions. Living Language has its own unique teaching method. This involves a four-step process made up of building a foundation, advancing to full sentences in conversations, recall exercises, and being able to use Arabic in practical situations. The first stage of the Living Language approach is to provide you with the foundation of essential words and phrases. These are translated from your native language in order to speed up progress. The second stage is to break up Arabic into smaller easier pieces. You will progress from words and phrases learnt in the first stage to putting together sentences and conversations. The third stage involves retaining what you have learnt. The course uses a variety of audio, visual cues, and interactive practices to ensure that the language moves from your short-term memory to your long-term memory. The fourth stage helps to make sure that you are not just memorising or limiting the language that you have learnt. In this section you will learn the principles of grammar so that you are able to produce natural conversations in everyday situations. Similar to the way that you are used to learning - if you studied any language at high school or college, you will probably be used to the Living Language method. It begins with some basic vocabulary and grammar, and moves on to more complex phrases and conversational practices. Unlike some other approaches, such as Rosetta Stone, it provides you with English translations of the material that you will be learning. This makes the approach comfortable for most language learners. Script book is very useful - one aspect of Arabic that many other language courses overlook is clearly identifying the Arabic alphabet and properly teaching reading and writing skills. The program is very strong in this area as it provides a comprehensive script book. If you want to learn how to read and write Arabic, this is a very good course to choose. Easy to schedule tutoring lessons - one unique advantage of this program is the ability to easily schedule tutoring sessions with a native Arabic speaker. These 30 minute online sessions allow you to review some of the key points that you have learned in the course material. Each of these online tutoring sessions has a maximum of three students and sometimes you will be the only one. 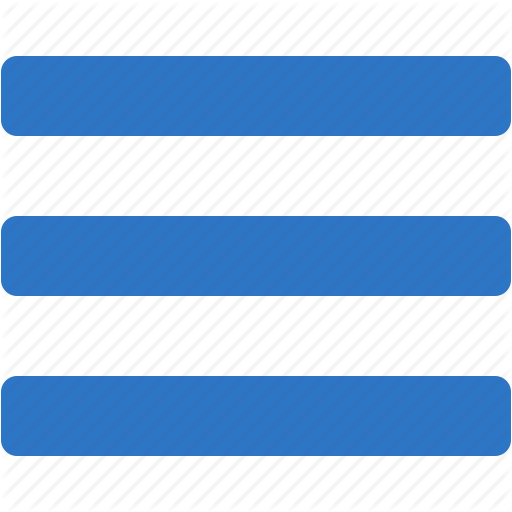 This makes sure that you have plenty of individual attention. May not suit short-term visitors - if you are simply visiting an Arab country for a short-term holiday, this may not be the best solution. The course is designed to bring you up to the intermediate level of Arabic conversation. A better option for learning a few simple phrases would be one of the short Pimsleur courses or the free Living Language apps. Alternatively you can try the free trial version of Rocket Arabic which will also give you basic skills in the language. Material can be a little boring - one of the major flaws of Living Language Arabic is that the material can be a little dry. Unlike some other language courses it isn't really that much fun practising using it for longer periods. Inaccurate progress markers - I had the issue that finished lessons were not being marked as completed. An improvement would be having the progress markers up to date with where you are in each lesson. Sometimes it's also not clear what you have to do with a completed lesson and how to have it marked by the progress tracker. It's interesting to note how this course compares with some other Arabic language learning courses on the current market. Compared to a number of language courses it's relatively inexpensive. For example, Rosetta Stone Arabic (my review) levels 1 to 3 costs $259, or approximately just over $100 more than Living Language online. If you choose to purchase Pimsleur Arabic (my review) levels 1 to 3, you can expect to pay $695 for the CD version. This is a huge difference compared to Living Language Arabic. It's also worth noting that the Pimsleur course is only an audio-based course and doesn't contain the conversational material and tutor provided with Living Language Arabic. In my opinion Living Language Arabic is a superior product to both Pimsleur and Rosetta Stone. A better comparison is with Rocket Arabic (my review) currently priced at $99.95 for online access to the course. This is about half the price of Living Language Arabic online. Like Living Language, Rocket Arabic teaches basic vocabulary and grammar and then uses this as a core foundation to conversational Arabic. Also, like Living Language Arabic, it teaches how to read and write. Considering the lower price and comparable quality of the course, Rocket Arabic would be my first choice from the two. Includes 30 minute online tutoring sessions in a class of max. 3 people. Teaches you grammar first, then complex phrasing and conversational lessons follow. Not designed for a basic and quick brush-up. Lessons can be slightly dry and boring at times. Had some issues with completed lessons not being marked as dumped. Overall Living Language delivers a solid Arabic course. Many people will enjoy using a teaching method that they are familiar and easy to get started with. This approach has proven effective for over 50 years by employees of the US State Department and so will no doubt work for most home learners. The online course is priced attractively at $150 which makes it a much better choice then either real Rosetta Stone or Pimsleur. But compared to Rocket Arabic it's still a little expensive. I recommend that you compare it to other courses before you make a decision.